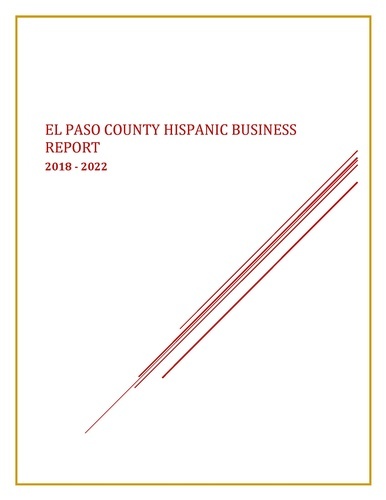 The Colorado Springs Hispanic Business Council is pleased to present the El Paso County, Colorado Hispanic Business Report 2018-2022. This report presents important demographic facts that support the need for a more focused attention from Local and State government on Hispanic business in Colorado. The growth of the Hispanic population in Colorado Springs is important and cannot and should not be ignored. The changes and demands brought about with this growth, have been transformed into needs and demands that require a response from government. © Copyright 2019 Colorado Springs Hispanic Business Council. All Rights Reserved. Site provided by GrowthZone - powered by ChamberMaster software.